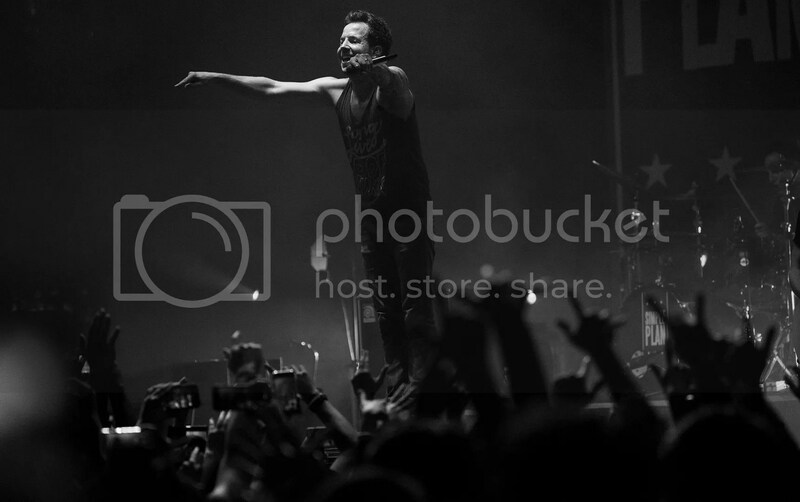 The Coliseum was filled with energy thanks to Simple Plan’s awesome showmanship and performance last Monday! During the 1.5 hours show, the band never fails to get closer to the crowd and got the crowd pumping in excitement. 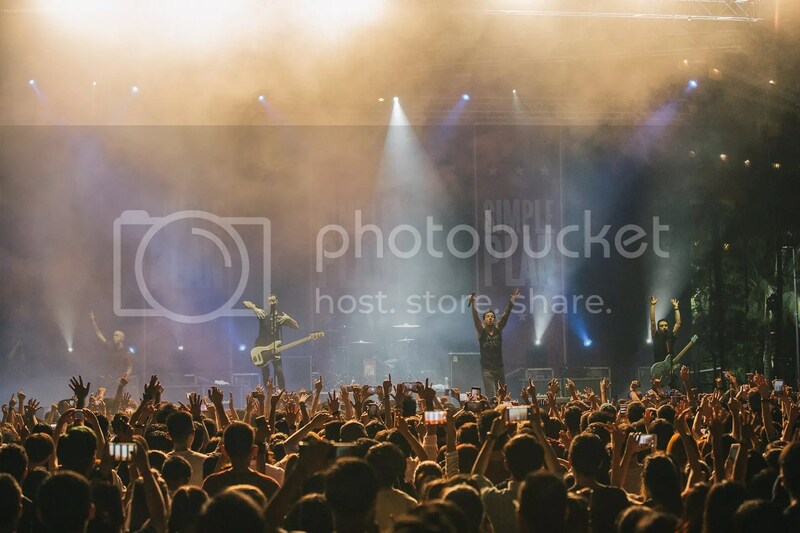 Growing up listening to Simple Plan, I would not want to give this concert a miss – especially after attending their concert at Fort Canning Park back in 2012. Just like I expected, the Taking One for the Team Tour did not disappoint. Performing songs from their old albums to the current ones, it is no short of an angst session for the attendees. If not attendees, it would be for me then. The band sang close to 19 songs including party medley. Not only were they high in energy, they actively made the effort to get closer to the fans by moving around the stage and also coming down to the stage at some parts, which made fans go crazy. As if that was not enough, they took time to read fan signs and made a dream come true for a fan who wanted to get a hug from the band! The band brought her up stage where she got to hug Pierre before the rest gave her a group hug. She even got a group photo with the band. The crowd was in envy of the girl! The band ended the night with Perfect which got the crowd singing along to it. The band also took the opportunity to thank the fans who have been supporting them since 1999. To them, without the fans support, they would not be here. Personally, the band is still here because of the fact that they are still humble and approachable despite all the success they have attained. Adding on, their shows get better and better every single time! 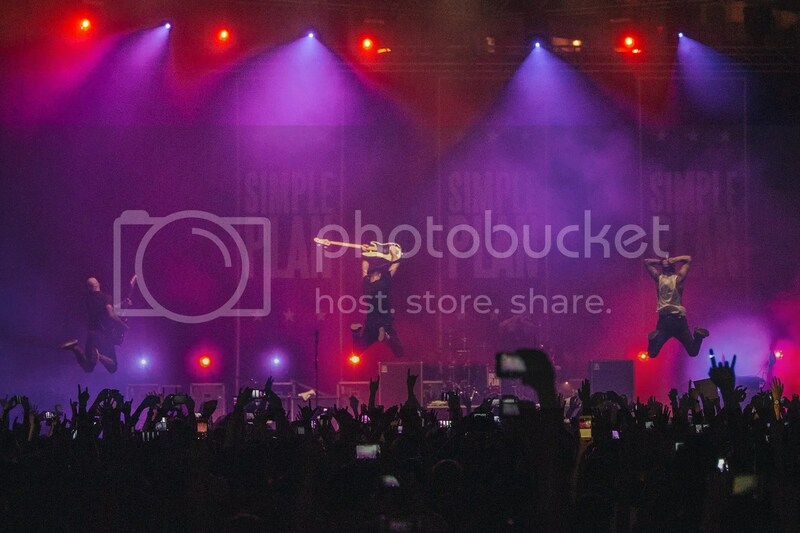 If you want to experience fun, then you need to attend Simple Plan’s concert because fun is what the band’s live for! Thank you Pierre Bouvier, Jeff Stinco, Sébastien Lefebvre, David Desrosiers and Chuck Comeau for a great night. Please do not let us wait for another four years before you are back!